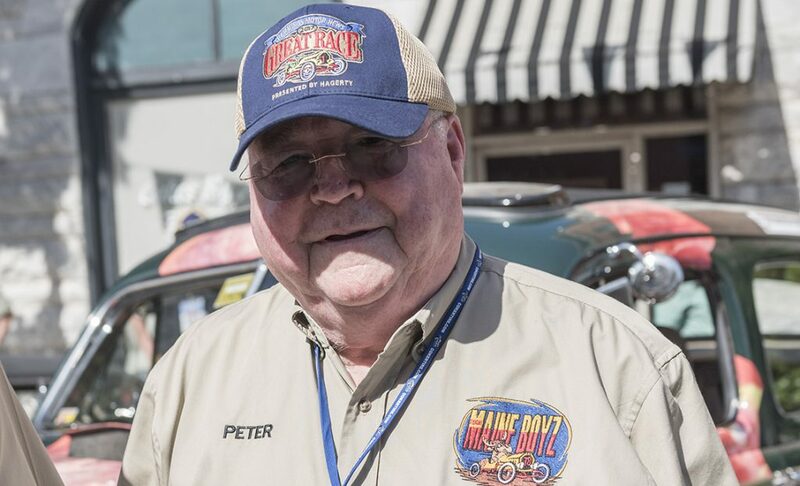 Monticello, Ark., will host a lunch stop on the 2013 Hemmings Motor News Great Race presented by Hagerty Thursday, June 27, and it is being brought to the community and sponsored by the Advance-Monticellonian newspaper. 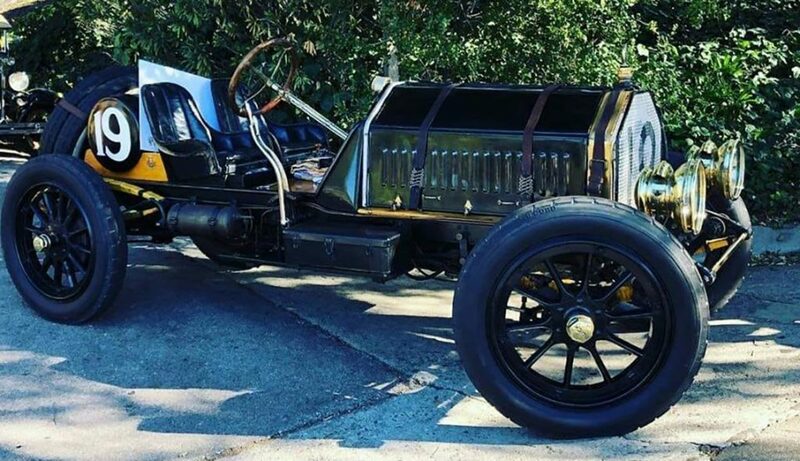 The Great Race, the worlds premiere old car rally, is expected to bring up to 100 antique automobiles to downtown Monticello for the $150,000 event. The race will start June 22 in St. Paul, Minn., at the State Fairgrounds as part of the Back to the 50s car show and weave its way down the Mississippi River toward the Gulf of Mexico through 10 states and crossing the river a dozen times before the finish in Mobile, Ala., on June 30. The stop in Monticello will be the first on Day 6 of the 9-day race. The cars will arrive from the overnight stop in Germantown, Tenn. The Great Race, which began 30 years ago, is not a speed race, but a time/speed/distance rally. The vehicles, each with a driver and navigator, are given precise instructions each day that detail every move down to the second. They are scored at secret check points along the way and are penalized one second for each second either early or late. As in golf, the lowest score wins. The cars will arrive after noon at one-minute intervals for more than an hour and a half and stay for an hour each to allow spectators to visit with the participants and to look at the cars. It is common for kids to climb in the cars for a first-hand look. The Monticello Chamber of Commerce is also helping with the plans. Cars built prior to 1969 are eligible, with most entries having been manufactured before World War II. In the 2012 Great Race, a 1907 Renault and a 1914 Ford Model T were the two oldest vehicles. There were also two 1916 Hudsons, a 1916 Packard, a 1917 Hudson and a 1917 Peerless in the event and many of those cars are expected back again in 2013. 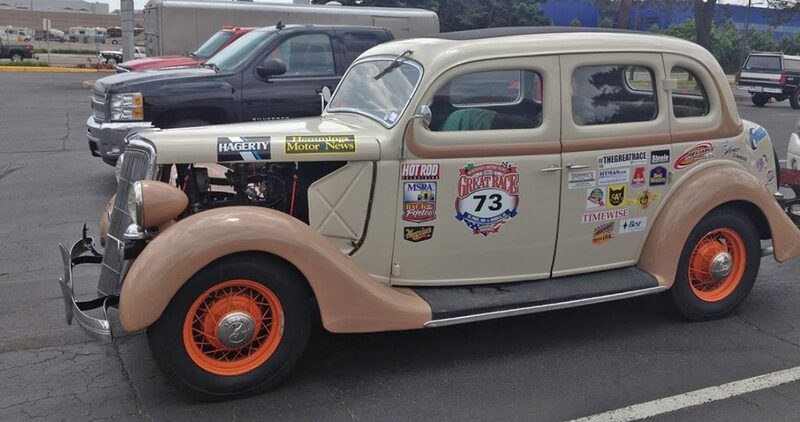 Last years winners, Barry and Irene Jason of Keller, Texas, drove a 1935 Ford coupe. The 2013 winners will receive $50,000 of the $150,000 total purse, based on 100 entries. 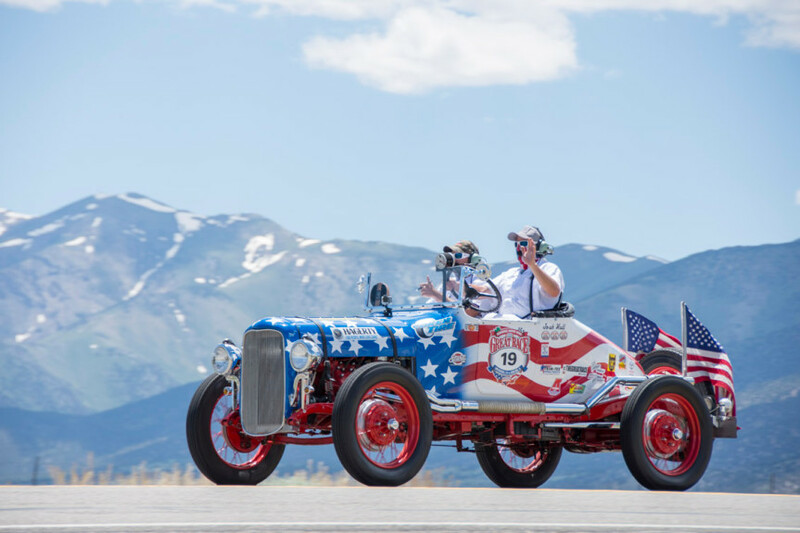 Over the decades, the Great Race has stopped in hundreds of cities big and small, from tiny Austin, Nev., to New York City. After leaving Monticello the cars will head south to Vicksburg, Miss., for the sixth of nine overnight stops, eight of which are on the Mississippi River or the Gulf of Mexico. The other overnight stops along the route are in La Crosse, Wisc., on June 22; in Davenport, Iowa, on June 23; in Hannibal, Mo., on June 24; in Cape Girardeau, Mo., on June 25; in Baton Rouge, La., on June 28; in Covington, La., on June 29; and in Mobile on June 30. The other lunch stops are Eau Claire, Wisc., Dubuque, Iowa; Peoria, Ill.; Washington, Mo. ; Paragould, Ark. ; Natchez, Miss. ; Crowley, La. ; and Irvington, Ala. The Great Race gained a huge following from late night showings on ESPN when the network was just starting out in the early 1980s. The first entrant, Curtis Graf of Irving, Texas, is still a participant today and will be racing a 1916 Packard again this year. The events main sponsors are Hemmings Motor News, Hagerty, Coker Tire, Reliable Carriers, Meguiars and Steele Rubber.